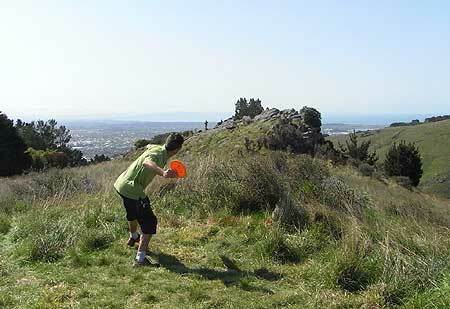 The 3rd Christchurch Fling saw some old faces coming back to the Port Hills: Jenny Joynt from Tokoroa, Paul Cohen from Waiheke Island and Michael Proctor from Auckland all played The Fling for the 3rd time and Simon Feasey from Auckland came down to Christchurch to defend his title. 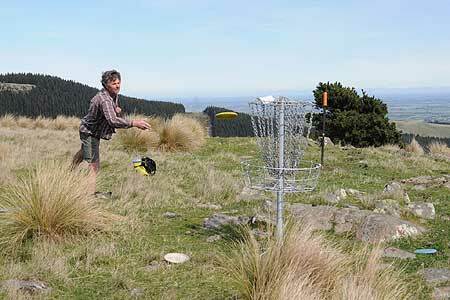 Last but not least Queenstown Disc Golf Legend James “Jaguar” Smithells attempted to ace holes 2 and 15 (the Signature hole) again after hitting the chains on both the previous year. 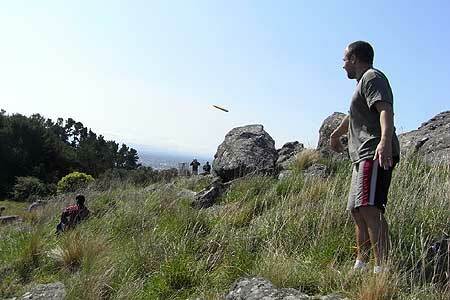 A few new faces were seen in the hills this year: Damian Peters from Auckland was keen to take the title off Simon. 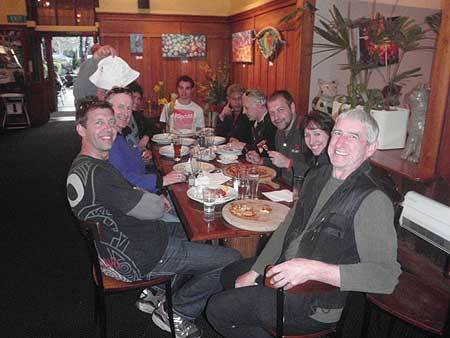 Jackson and Shane Sullivan from Levin as well as Regan Caldwell and Fraser Campbell from Queenstown all played their first Fling. 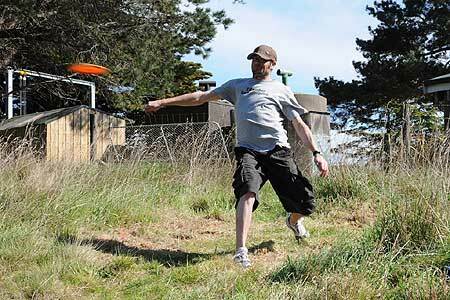 We also had some great support from our local disc golf and ultimate players. This year’s Fling proved to be the best one so far with 22 players turning up in Victoria Park on a beautiful warm Saturday morning. This is a new record for the young tour event. 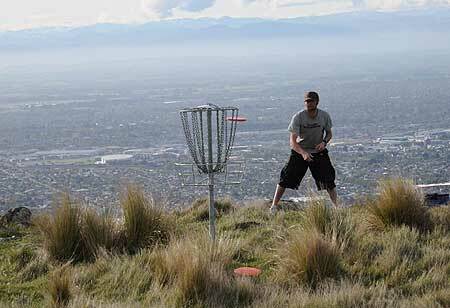 With the help of players from Queenstown and Wanaka the course was fully basketed and this was another novelty for the Christchurch event. Thanks very much for all those who have travelled a long way and helped make the event the big success that it was. Hope to see lots of you again next year. 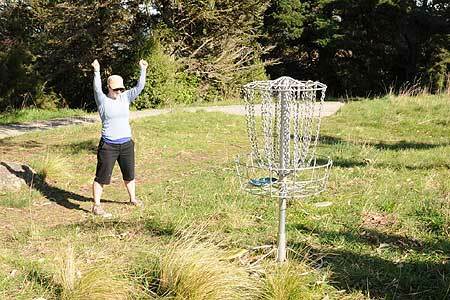 At Last - Hannah Joynt celebrates finally sinking her 3rd putt after a great tee shot. 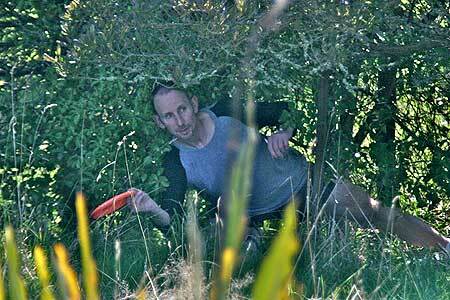 McNab Nabs Par - Wise old local disc golfer Craig McNab nails his putt on the scenic hole 10. 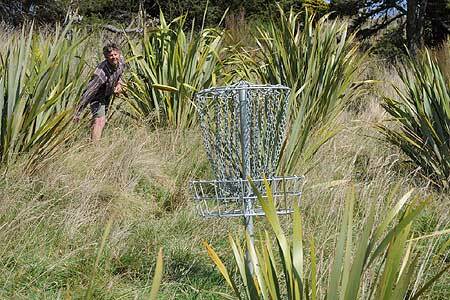 Know the Flax - A flax beast emerges from the wilderness and sinks his disc on signature hole #15. 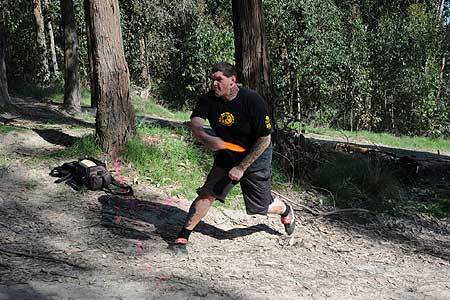 Determination - Jackson 'Powerhouse' Sullivan gives it a yank on steep uphill hole 4. Flirting with Disaster - Jackson Sullivan misses his birdie putt, bounces it off the top of the basket and is lucky not to send it sailing down the hill. 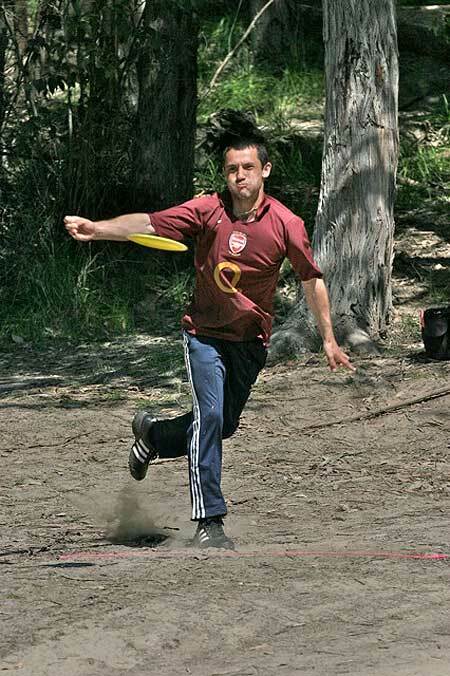 “Will it ever be seen again” - so thinks Shane Sullivan launching his disc into the void on the signature hole #15. Valley of Power - Sweet release from Hannah Joynt on hole 16. 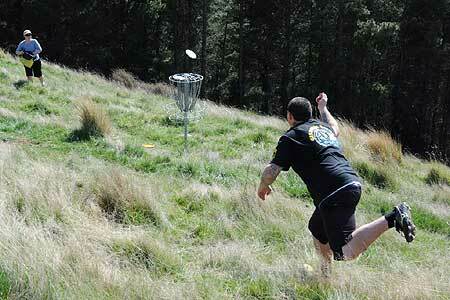 Southern Fling - Queenstown golfer Regan Caldwell gets a good drive off on hole 16. My What a Long One - Paul Cohen hoping for some yards on the longest hole of the course. Gaiter Aided - Jaguar Smithells releases with style. And then there were, um, six? 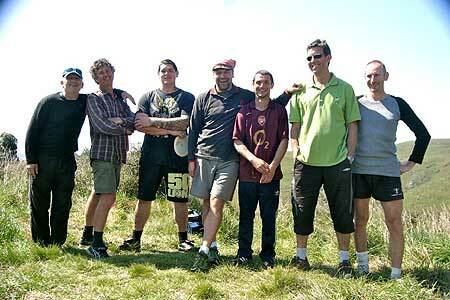 - Smiling Super Six plus 1 on the Port Hills cat walk. I'll Huff and I'll Puff - Dust flying and puffed cheeks helped Damian Peters to get some extra distance on his drive on the second Super Six hole but neither was enough for him to catch Simon Feasey. 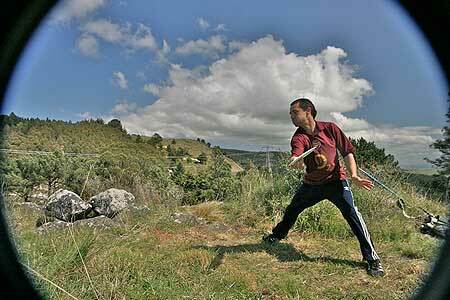 Rocky VII - Damian Peters uses Tai Chi moves to coax the disc towards the basket on Signature hole 15. 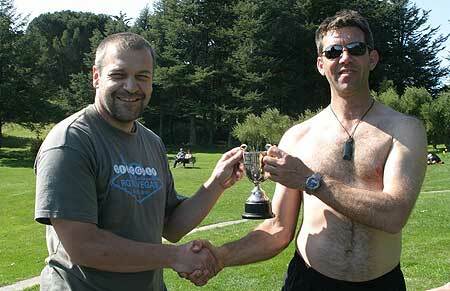 White Men Can Throw - The Christchurch Fling 2010 winner takes the cup with a 19 (!) shot lead ahead of Damian Peters and another 4 ahead of the TD. Congratulations Simon Feasey. Graceful Winner - After tournament beers bought by Simon Feasey with his winnings from the Ace Kitty on hole 8. Cheers mate! 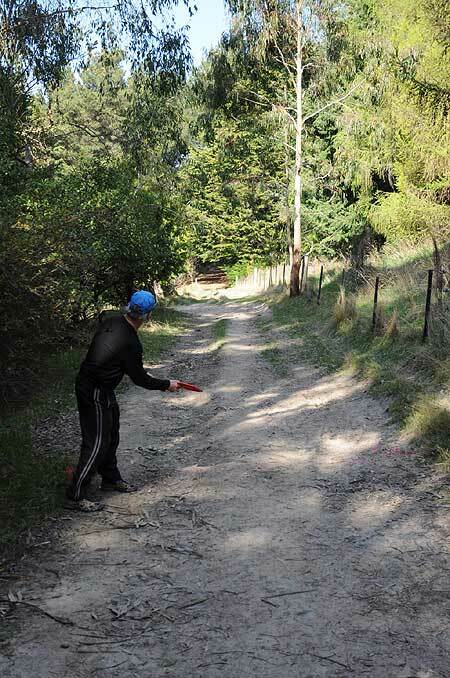 Follow the Path My Son -The Waiheke Wonder Paul Cohen trying to be straight on the very difficult hole 6. Focus on the Chains - Panoramic putt by Regan Caldwell on hole 10. 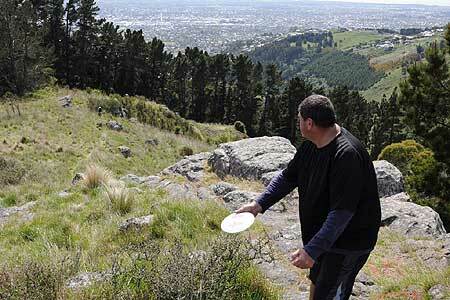 Sneak View - Auckland disc golfer Damian Peters sends off his drive on the first Super Six hole. 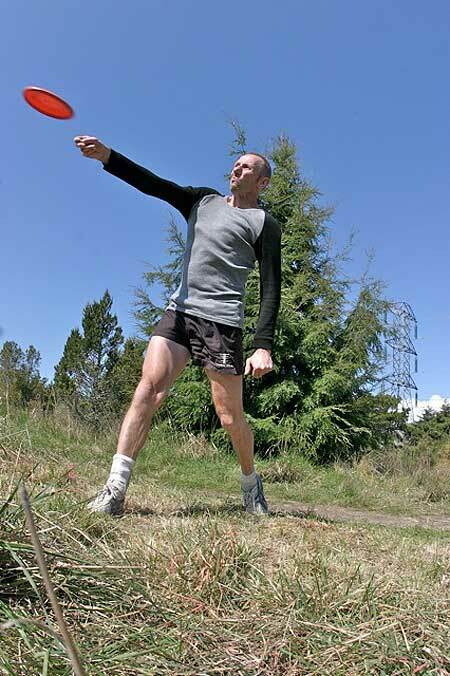 Chequered Pass - Craig “Forehand” McNab winding up for a big one. With a 56 his on his last round he scored a place in the top 6. 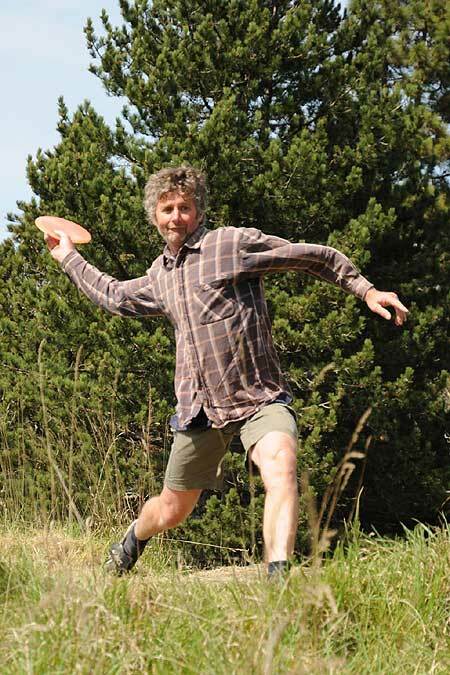 Quadraphenia - Local Ultimate Frisbee Legend and Disc Golf player Sammy Neilson showing great style and technique. Leaning Tower - Great style and technique can still get you into trouble... Sammy in an uncomfortable position. 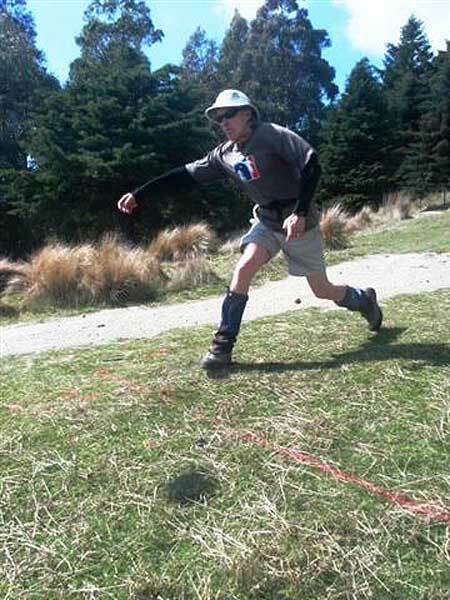 Dum De Do - Winner Simon Feasey just makes it look all too easy. 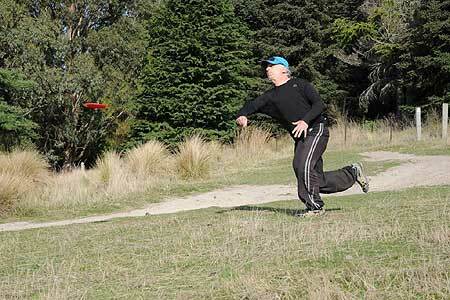 Casual Works for Me - TD Mario Cerniar nails a 20 metres round rock putt for a birdie. See Video. 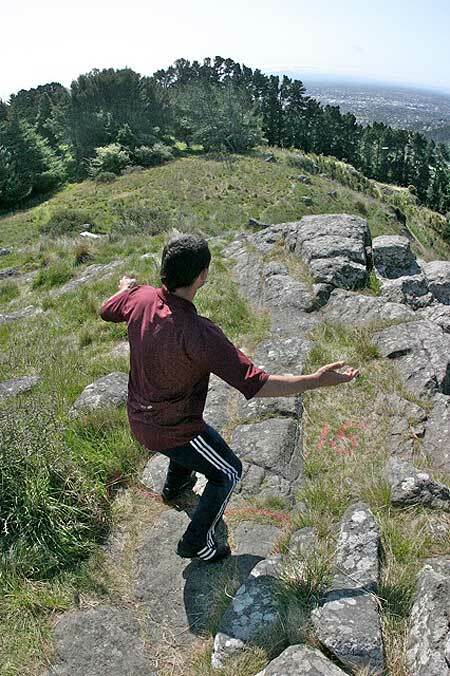 * DNF: the player did not complete this round. Par +4 has been added to every uncompleted hole.